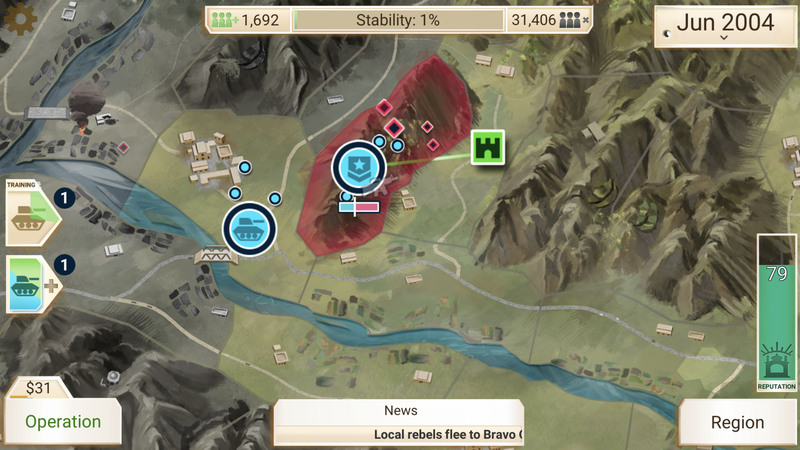 The war is over, but we all know that doesn’t mean anything. 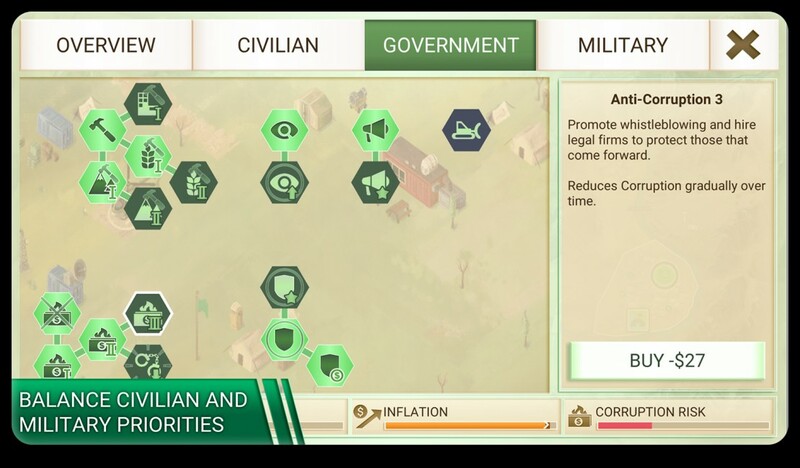 To stabilise the country, you need to balance military and civilian priorities to win the hearts and minds of the people, whilst also stopping insurgents from seizing power! 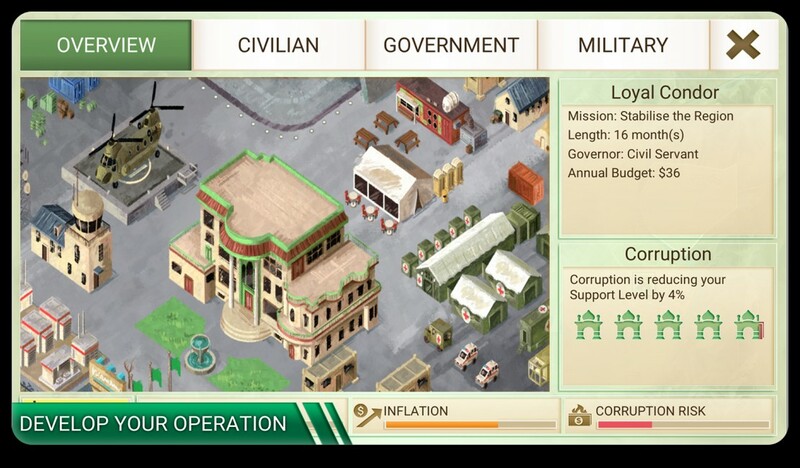 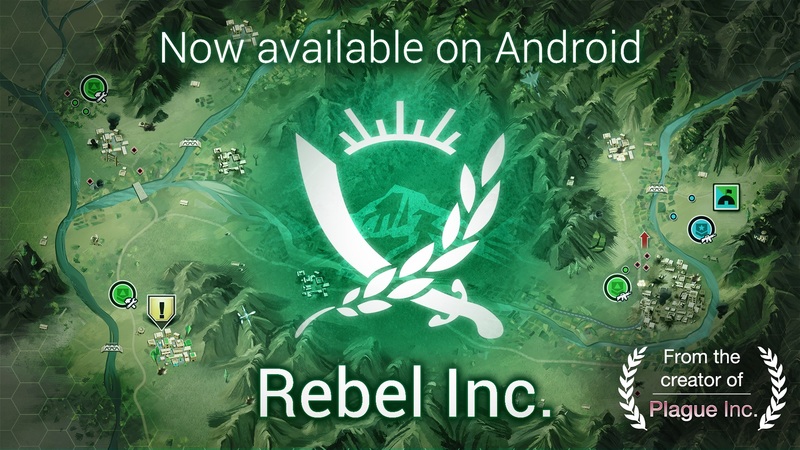 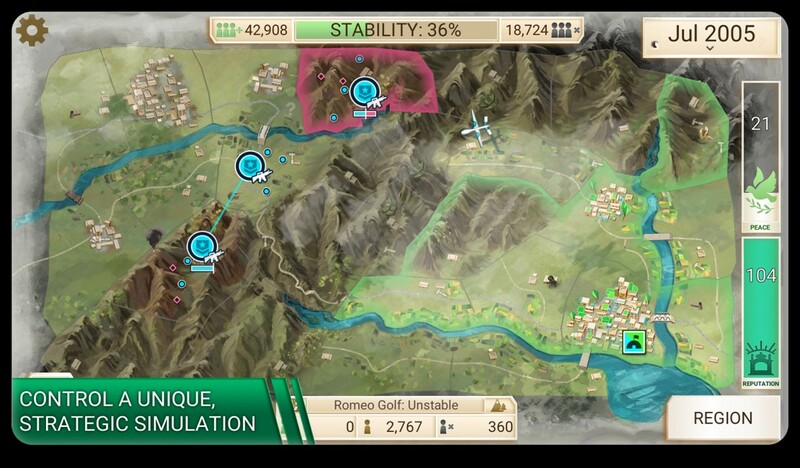 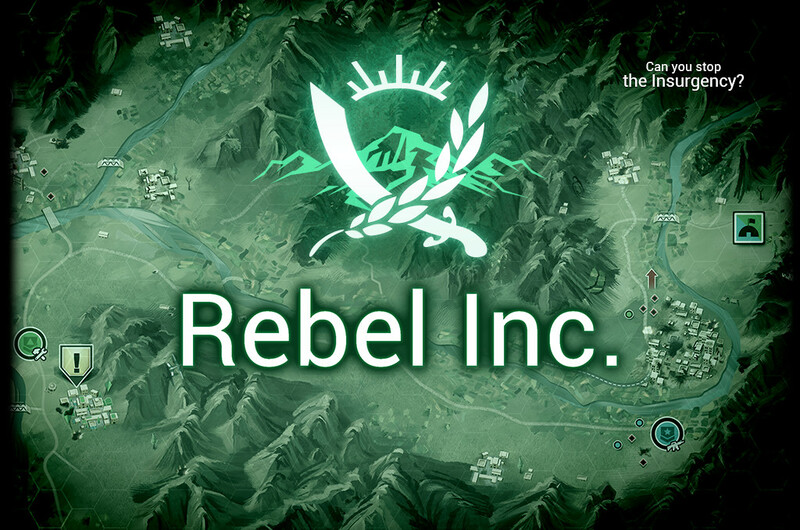 Rebel Inc. is the brand new game from the creator of ‘Plague Inc.’, one of the most popular paid games ever with over 100 million players. 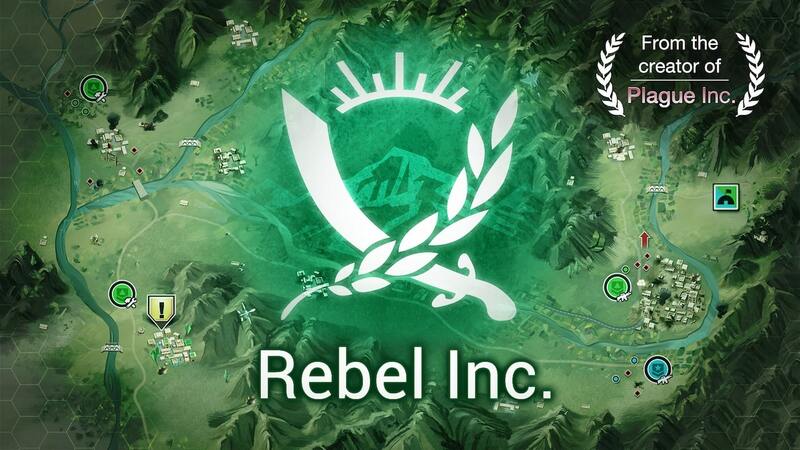 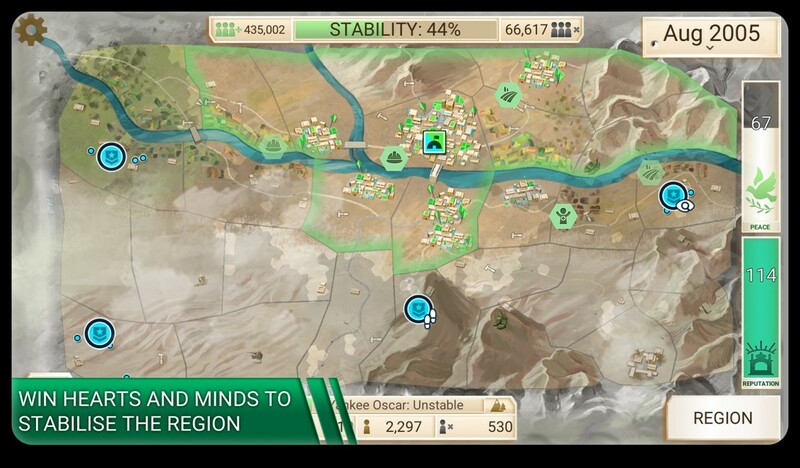 Brilliantly executed with beautiful graphics and critically acclaimed gameplay, Rebel Inc. offers a deeply engaging, thought provoking look at the complexities and consequences of foreign intervention and counter insurgency. 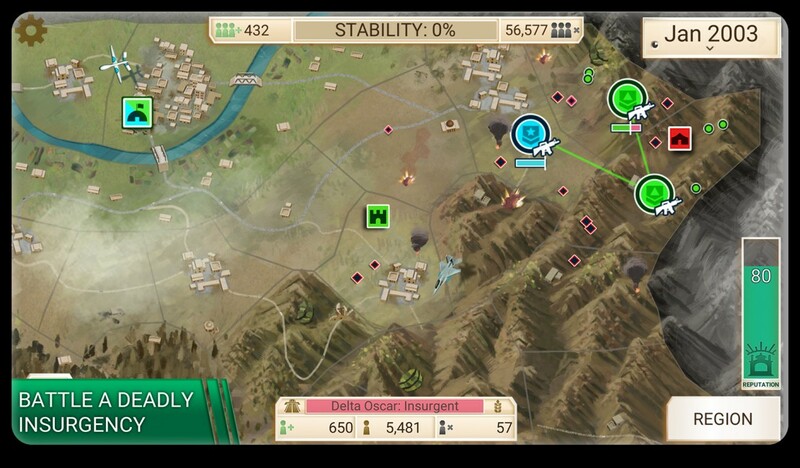 Can you stop a deadly insurgency? 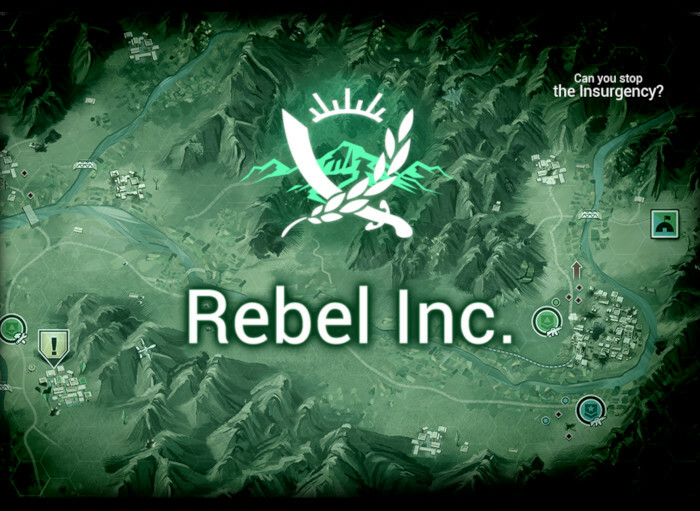 Rebel Inc. is available now!